We at Bodywork and Wellness Center believe that truly helping our clients is the primary goal every day. To achieve this, we work hard to educate our clients on more than just the benifits of massage. We educate them on things that they can do on their own to help improve their lifestyles and their futures. 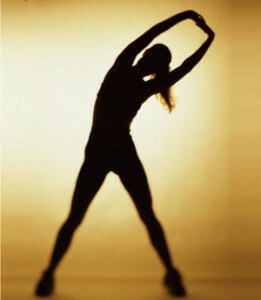 Flexibility refers to the movement of the joints smoothly through the entire range of motion. Stretching exercises improve that motion. Gymnasts, martial artists and dancers are among those who focus heavily on flexibility and increasing their range of motion due to the nature of their activities. Intensive stretching exercises designed to help you improve your flexibility require healing time, so you should allow your body to heal between sessions. Sports that require remaining in the same position or carrying out the same movements can decrease your range of motion because they target specific muscle groups and create an imbalance. Connective tissues shorten to adapt to these conditions and lose their ability to function to full capacity, resulting in instability. Stretching can improve or reverse these affects. Warming up before training will raise the temperature of your muscles, amplify their suppleness and facilitate muscle lengthening, all of which can help to prevent injury. Cooling down is equally valuable because it ensures muscles move through their full range of motion regardless of the activity performed. If you are injured, stretching can accelerate healing by expanding your range of motion to accommodate proper performance in the joints. This process should be gradual, matching your progressing ability. Overdoing it during the rehabilitation period often causes further harm, and damage to already injured joints may be irreversible. You may undergo medical treatment and rehabilitation simultaneously to get you back to your pre-injury fitness level quicker. There is really no surprise to naturopathic physicians, holistic healers, holistic nutritionists, and other people in the natural healing fields: physical activity is absolutely critical for the health of the human body. In fact, it's fair to say that the human body was designed to be used. The direct effect of an inactive life is an overweight torso. If you are leading a sedentary life, you are absorbing and indirectly storing a lot of calories, because there is no physical exercise to burn the calories down. It is these calories that get stored in the body as excess fat leading to obesity. For the heart to function properly there should be a continuous flow of blood from the blood vessels. However, a laid back life style can lead to a slowdown in the blood supply to the heart, making the blood vessels stiff and blocked. A serious case of blockage of blood vessels can also lead to arteriosclerosis and even a cardiac arrest. Your muscles require regular exercise to be in good shape and give you enough strength for your day-to-day activities. However, if you are leading a sedentary life, the muscles are hardly used. This lack of movement and exercise will reduce the muscle capacity and strength in your body. Sitting all day long without any exercise is also not beneficial for your body posture and spine health. Spending a life of a couch potato can shorten and tighten your hip flexors and hamstrings, making the muscle that supports the spine weak and stiff. The level of blood sugar level can also be kept under check by regular physical activity. If the body gets regular and intensive exercise, it can easily control the blood sugar levels. However, on the other hand if there is no physical exercise provided to the body, the risk of an increase in blood sugar levels is inevitable. Increase in blood sugar levels will put pressure on the pancreas which will affect the secretion of the hormone insulin, increasing the chance of a diabetes attack. Continuous inactiveness can cause the bones to lose their strength because there is no challenge for them to support the body. A prolonged period of slothfulness can cause problems like arthritis and osteoporosis thus leading the bones to become brittle and weak. A life of a couch potato can also lead to sleeping problems. A sedentary lifestyle does not provide any challenge for the body. Therefore, the body feels no need for rest leading to sleeping difficulties which can turn into insomnia later on. Telomere, the repeat sequence of ‘deoxyribonucleic acid’ (DNA) is the one that sits on the ends of chromosomes, protecting them from any damage. These telomeres get shorter as we age. Research has proven the fact that in inactive people the telomeres shorten faster than in an active person. The faster the rates of shortening, the faster will the signs of old age appear and vice versa. A sedentary life also increases the risk of cancer in a person. Decrease in physical activity can also lead to different cancers like breast cancer, colon cancer and tumours as well. An inactive body can give birth to dangerous cancerous cells, increasing the risk of deaths due to cancer.